The obstetrics text that has defined the discipline for generations of obstetrician-gynecologists is now more timely—and essential—than ever. 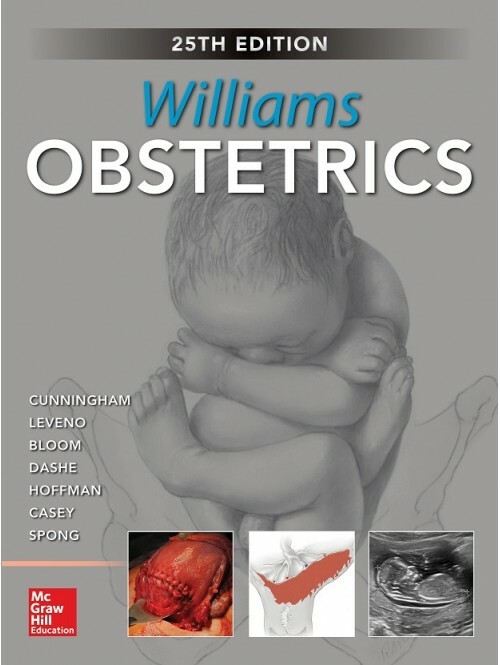 Written by authors from the nationally known University of Texas Southwestern Medical Center, Williams Obstetrics maintains its trademark comprehensive coverage and applicability at the bedside, while offering the most current perspective of the field. This landmark text begins with fundamental discussions of reproductive anatomy and physiology. These dovetail into clinical chapters covering obstetrical complications such as preterm labor, pregnancy-related infection, hemorrhage, and hypertension, among others. Representing the culmination of a century of clinical thought, the new Twenty-Fifth Edition is enhanced by more than 1,000 full-color illustrations plus an increased emphasis on the fast-growing subspecialty of maternal-fetal medicine. Chapter 7. Embryogenesis and Fetal Morphological Development1.